Burg Greifenstein is a castle in Lower Austria overlooking the Danube. 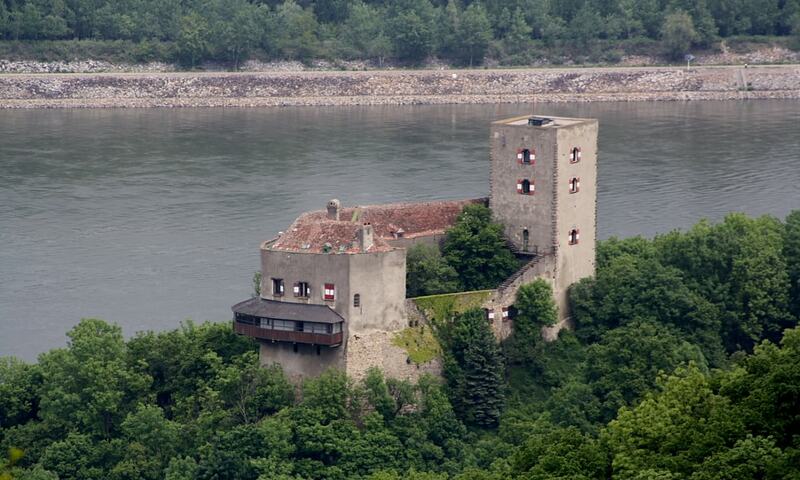 Approximately opposite to Burg Greifenstein is Burg Kreuzenstein, on the north shore of the Danube. The castle changed owners frequently during its service from the 11th century to 1918. It began life playing a significant role in the defense system along the Danube. More recently, in the 16th century, the castle served primarily as a notorious prison of the ecclesiastical court. Throughout history, the castle was repeatedly invaded and damaged, but repaired, again and again. It was inhabited until about 1770, when it was abandoned and fell into disrepair. Until 1803, it belonged to the Bishops of Passau. The castle has remained in private ownership and is presumed to be on sale.